As a theme addict, one of my criteria on choosing a theme is customization. File size and resources take a backseat to having a beautifully rendered design grace my display. 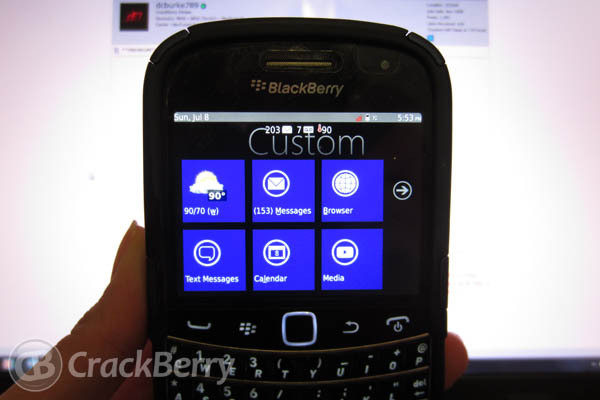 As a BlackBerry Bold 9900 owner, and certified theme junkie, I'm always looking for a theme that grabs my attention and meets my expectations. Then I happened see a few tweets and forum posts about a new theme by drkapprenticeDESIGNS and decided to give it a try. If you haven't already heard of them, this team is behind such popular themes as the CB Appreciation Theme, MiniBanner Live and De_Nex7. His latest, dD_Metro is another rock solid, amazing theme that you are going to love and not switch off of in the near future. Not only does it look great with any of your wallpapers but it's filled with shortcuts and features that will blow you away. 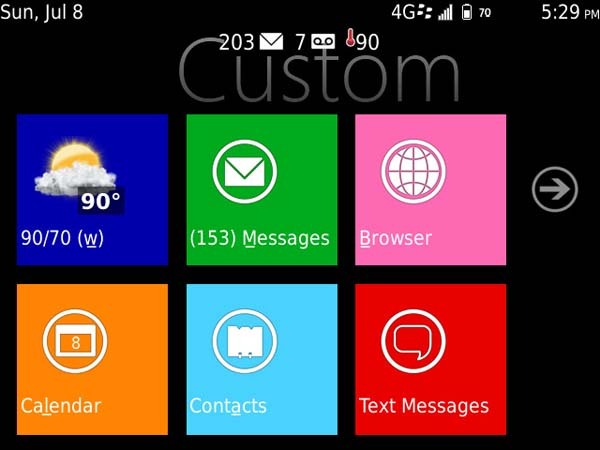 While this is still a Windows 8 replica theme, with an awesome Metro icon set, for your BlackBerry it doesn't matter. 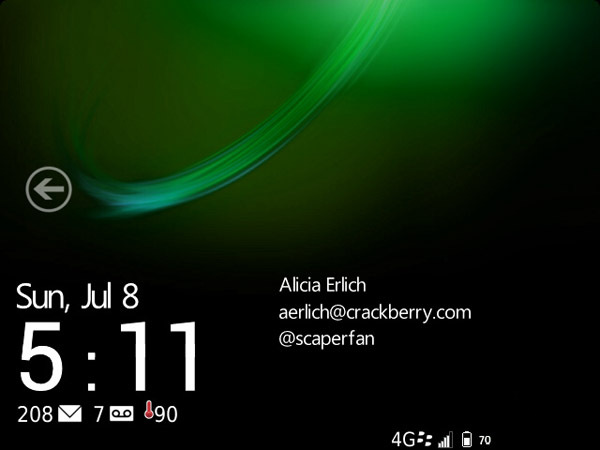 Replica themes are popular and themes are what make BlackBerry stand out from the rest. With this one, their attention to detail is impressive and they keep outdoing themselves with each new release. There are six panels on the home screen and by using hotkeys the colors can be changed (ALT 0-9), but with a twist. Not only can all the panels be changed at once (focus on the arrow and use the ALT 0-9), but if you place the cursor on a specific panel you can change each panel's color individually. That way you can design your own color coordinated home screen. Another great feature is when you click on the arrow on the right to hide the dock. This creates a minimalist home screen to show off your backgrounds and displays the owner info you entered for up to four lines of text. There's nothing more to say about this theme except that it will make you love using your BlackBerry even more. Be aware that the icons in the folders will be invisible but can be accessed using universal search and that the colors will reset when you perform a battery pull. Also, make sure to set the options to Application Shortcuts if you want to utilize the home screen hotkeys to access specific applications. Be sure to check out this remarkable theme (and the full list of hotkeys) by clicking on the links below. dD_Metro is only $1.99 and is compatible with BlackBerry 9350/60/70, 9650, 9700/9780/90, 9800/10, and 99xx running OS6 and higher and will be available soon for the 9800.